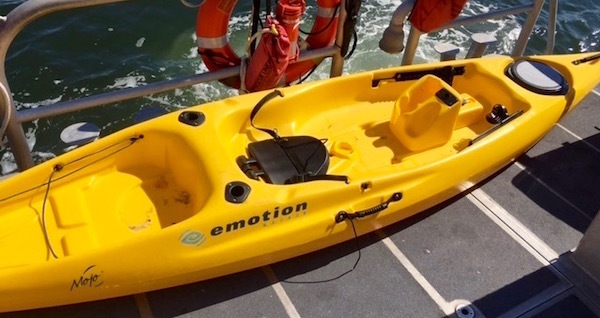 Since Memorial Day, the Coast Guard First District command center in Boston has executed about 80 calls involving unmanned and adrift paddle craft cases, totaling nearly 200 hours of searching for possible people in the water. This costs money and risks lives. The First District includes Long Island waters. Local authorities also respond to these cases. For example, the New Bedford Harbormaster is a part of the Buzzards Bay Marine Task Force, one of many local authorities called upon to assist with emergencies on the water. Often, as many as seven agencies will gear up and launch from New Bedford alone. During a single day, the Coast Guard and local authorities responded to a total of 18 cases where someone was possibly in distress on the water. Eight were unmanned and adrift boats, and there were not any reports of missing people. 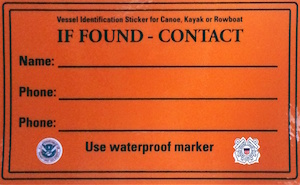 Contact information on a paddle crafts can help search and rescue responders determine if a true emergency exists and save tax payers thousands of dollars in unnecessary searches because a single phone call can determine if there is someone in distress or not. A typical Coast Guard search and rescue case can involve a helicopter and two or more station boats. Those assets together cost more than $24,000 of tax dollars per hour. That does not include the salary of the crews or the people behind the scenes. The Coat Guard recommends placing ID tags and phone numbers on all your personal watercraft to help determine if anyone is missing when the boats are found adrift. It is also important for people to remember to ensure their paddle crafts are secured. Merely setting a paddle craft on a rack or dock does not mean it is secure. Strong winds can blow a paddle craft into the water, and the owner would never know. This could launch an unnecessary and costly search. The Coast Guard recommends owners place their name and two contact numbers on their boat or paddle craft, make sure the correct safety equipment is on board (download the USCG app for smart phones), file a float plan, and wear a life jacket. The Coast Guard will always answer the call, but it’s important to consider the Coast Guard lives risked every day and the dollars spent to conduct these searches. Simply putting contact information on paddle crafts has the potential to conserve tax-payer money and save lives.